Texting My Pancreas: Those Things They Ask. I had a doctor (not endo) appointment yesterday, and it got me thinking about Those Things They Ask. I can get a little weird about my answers to Those Things They Ask, because not every medical professional I see knows my whole deal, and as immature as it sounds, I'm afraid that I get unfairly judged sometimes because they don't have the whole picture in front of them. 1. How's your diabetes doing? Well... you know... it's still here. 2. What was your last A1C? I know that this is the go-to, "easy" way to gauge how things are going for me, diabetes-wise. Logically, I know that. But what I also know is that when I tell a medical professional that number, I get put in a category. "Compliant". "Good". "Bad". "Out of control". And the thing is, those labels and numbers don't always provide an accurate assessment of "how I'm doing". A1C is an average - I could be bouncing between 40 and 400, and they wouldn't know - they might assume I was staying at 150 all the time. Not to mention that the numbers aren't the only things we should pay attention to when it comes to lviing with diabetes. 3. Do you have a lot of highs/lows? What? Really? You know I have diabetes, right? 4. Are you still on the "Humalog pump"? I know that they mean "an insulin pump, using Humalog insulin", but it still makes me giggle. Humalog is not an insulin pump brand. So, here's what I'd prefer instead: a little bit of empathy. I'd love to hear an acknowledgement like "That has to be so frustrating", or "That sounds exhausting - you're doing so well.". It doesn't have to be a big drawn-out conversation, but it would be great to hear one of Those Things followed up with Something I Actually Appreciate Hearing. I like doctors who recognize the hard work behind those numbers they ask about. It's a small wish that could have a big impact. I was once asked (by a non-endo) "What was your lowest low?" As in...ever. Um, what?! Naturally the follow-up question was "What is the highest your blood sugar has ever been?" Yeah, thanks for the medical advice, buddy. Oh I just "love" that question: "do you have many lows?" My endo likes to ask that every single appointment. He always makes me feel like I'm out of control if I have a low while riding my bike, for example. It's inevitable to have lows if you have diabetes! I think it's much more important to talk about "low awareness" than about how many lows you are having regularly. I always laugh (get annoyed) at the strip companies when I call to report a faulty meter "did he have any diabetes symtoms due to this?". Great post girly! Print it out and give to all the doctors! My very favorite was when I needed to take my daughter to Urgent Care for a sore throat. BG was 200's -- they refused to eval her throat until she pee'd in a cup so they could test for glucose in the urine. REALLY? Followed by ... "I see she has had diabetes for several years now. When do you think you'll be getting control of that?" Um. Yeah. I'll get control of it tomorrow. Or the next day. Maybe you could look at her throat now? You know you've found a good general practitioner when they either dont ask those questions or immediately say that they will consult with the endo's office. Unfortunately most are just ignorant and pretend to know everything. Know your limits docs..u r good but not gods. And LISTEN to your patients. 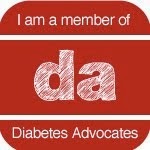 Like it or not THEY are the experts on THEIR diabetes. I love when I go to a doctor and am asked, so what was your last blood sugar? I mean after all, what bearing does one blood sugar have in the grand scale of the entire diabetes spectrum? My one blood sugar result is then used to either applaud or appraise my value as 'good' or 'bad' at caring for my diabetes. I cannot believe that people who work in the medical profession are this dumb. I love your answer to the first question. I feel that way! How's your diabetes doing? Well, it's still being a bit of a brat. I keep waiting for it to grow on me, but so far, it hasn't happened. I tried to buy it a cupcake last week, but it didn't care for that option so I gave it insulin instead. It didn't like that either. Picky little thing that diabetes. Ha ha ha! What's scary is when there are no endos in your area, so the Internal Med Doc is all you have and they call you one day to ask, "Whats that thing you have that tells you what your BG is all the time?" Yeah... true story! :D Oh the joys! Don't even get me started. It drives me SOO crazy. I hate hate those questions!! I find sometimes at the "regular doctor's" office, even when they ask the same stupid questions, if I tell them something like, "I know my A1C isn't the greatest, but I've been living with diabetes for 21 years and sometimes you have to put in a lot of hard work before things change!" or "That number is kind of awful, and I know that, but I am working with a really awesome endocrinologist." I feel like I get a warmer reception about the "bad" numbers and things once I show that I'm actually involved in my own health. It can be exhausting. And yeah, sometimes I do shrug it off or wish they wouldn't ask me. I guess sometimes you have to give too many details for anyone to care. I have an AMAZING primary care physician (thank you Kaiser) and I went to him recently because I had pleurisy (read: do NOT get this) and needed medicine. I was talking about getting back to running, because I've been held back by being sick, and that it was making my blood sugars higher. He asked what my A1c was (6.7%) and he was like "6.7%?? That's amazing, with all of your running- you're like a diabetes machine- you've got it down to a science!!" And just like that, he totally validated my hard work and made me feel like an amazing diabetic!!! Thank you for this one! Story of my life...and Jill--what are they doing with that information anyway? I am so glad (I guess depressed too) that I am not the only one who has experienced this. I moved to the US from Canada 3 years ago. I don't remember my Canadian doctors being so cold. Nor did my endo ever give me the horrid "uncontrolled" label. But in the past 3 years I feel like I have lost my faith in medical professionals. I was really sick with a stomach bug and got some bloodwork done with my fam dr. 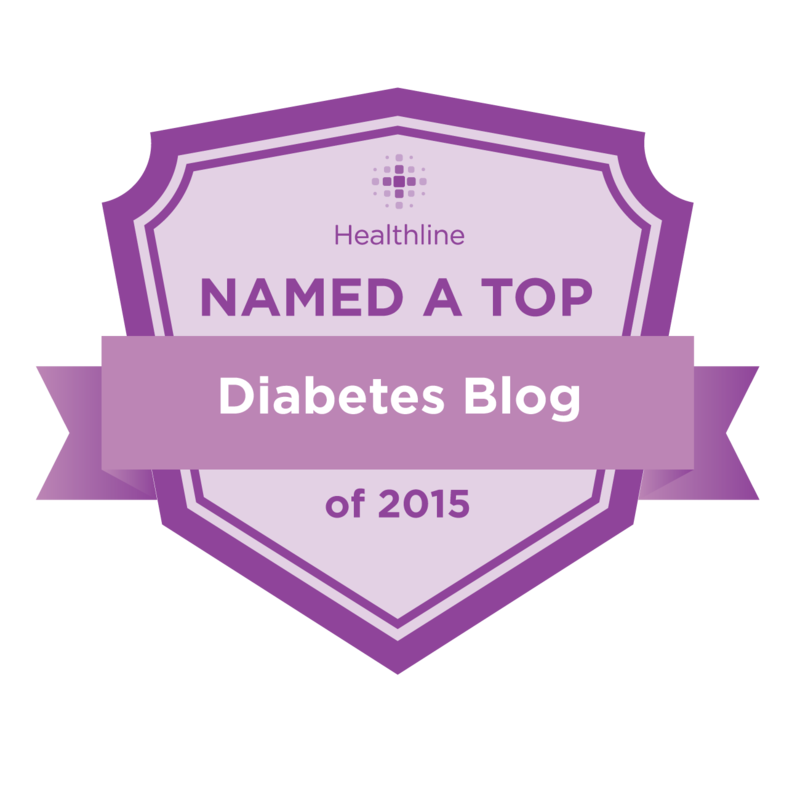 I got a call from them telling me I "might" have diabetes since my glucose was in the 400s. Thanks! It's been 22 years. Great post, Kim. I've actually had some pretty good Endo history and haven't really gotten those types of questions from them, at least not after the initial visits. But sometimes the NPs or assistants or even primary docs, can be very annoying with these inquiries. Thanks for posting this. I love it when "they"(general medical people, not my endo) tell me that 110 is a little high for my blood sugar!!!! You do know I have T1D right???? ?